Our company offers professional and reliable removal services in Liverpool and Merseyside. Our team members are fully licensed, insured, and always strive to ensure a secure moving. Call us anytime and get a free quote! Looking for secure storage in the North West and want the removal and return of your items for FREE? When you need storage space, whether you are moving house, renovating, running out of space, going travelling or at university, easyStorage can offer flexible storage packages which can save you money and time when compared to others. We’ve created our removal with secure storage packages in the North West to enable you to get your possessions moved for free whilst getting secure storage cheaply. 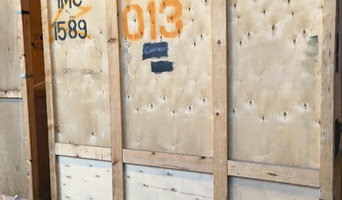 Secure storage is like your spare room, garage or warehouse, except you don't need to worry about getting your stuff there – our removal service is free, you just pay for the loading. It's more secure than your home or business and you only pay for the size and space you need. Our packages are ideal if you want to rent storage space from as little as a week to over 3 years without the hassle of renting a van or getting a removal company to move your possession into storage and then return them to you. Removals and deliveries in and around Liverpool with Man With A Van. If you need a prompt and professional removals or deliveries service throughout Liverpool, use one of the methods below to get in contact. We have over seventeen years experience in the Transport Industry. We believe that all our customers needs are of the upmost importance. Our entire team are committed to meeting these needs. A high percentage of our business is from returning customers and referrals. We would welcome the opportunity to earn your trust and deliver you a professional removal service. 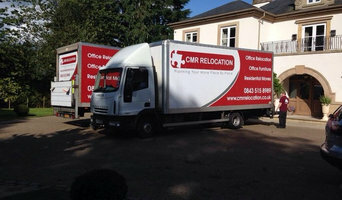 Do you require a high quality and affordable removal service? 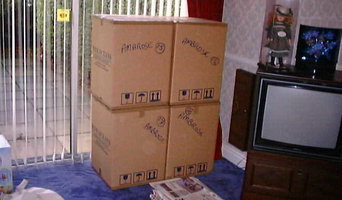 From small domestic jobs to larger commercial projects, you can trust Tommy's Budget Removals to do an excellent job. Available seven days a week, both local and long distance removal services are available. So, if you need furniture, antiques or general belongings moved to a different location, you can count on our friendly, reliable and professional team to deliver. From single items to full load, all services are carried out to the highest standards and at very competitive prices. For further information, please feel free to give us a call. 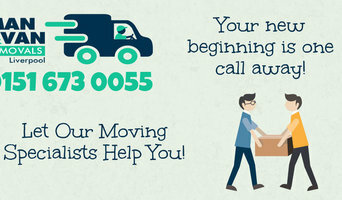 NEED STUFF MOVING provides a wide range of removal services within Cheshire, Staffordshire and the North West. Established in 2004, the company provides the full range of services ranging from "man with a van" through to full house removals, local deliveries, packaging supply & secure storage. We cover areas such as Crewe, Sandbach, Alsager, Nantwich, Tarporley, Chester, Frodsham, Stoke-on-Trent, Holmes Chapel, Audlem, Market Drayton, Manchester, Lymm, Warrington, Congleton, Macclesfield & most of the other surrounding areas. To make your life easier, we operate 7-days a week and without any additional costs to our customers. Why should I hire Liverpool, Merseyside removal companies? Some house removals will involve total house clearance work – perhaps you’re stripping bare your old place and redoing it before selling it on? Or if you only need a few large items moved, there are lots of removal companies in Liverpool, Merseyside that will be happy to offer furniture removal, and may even be willing to take items to the tip for you if you’ve decided to get rid of them. If you find a reliable man with a van in Liverpool, Merseyside, he may be able to accommodate you throughout your whole move – helping you with house clearance, taking items to the tip, to storage containers, to salvage yards and finally helping to move everything into your new place. A Liverpool, Merseyside man with a van service is often a bit more flexible than a removals company, so consider individual movers as well as large firms when you move. If you’re moving at the same time as carrying out renovations, you may need to liaise with your other contractors as well as Liverpool, Merseyside removal companies to make sure the move and house clearance can go as seamlessly as possible. Here are some related professionals and vendors to complement the work of removal companies: . Find removal companies on Houzz. Narrow your search in the Professionals section of the website to Liverpool, Merseyside removal companies and man with a van services. You can also look through Liverpool, Merseyside photos to find examples of house clearances and moves, then contact the professional who worked on them.